Details of other competitive exams, including success/failures CSE 2009 &10 (Railways), Haryana Civil Services, SSC Graduate Level Exam, SBI P.O, Delhi Govt Primary Teacher Exam(DSSSB). Details of coaching, mock tests, postal material for any competitive exam (if used) Public Administration, Essay and Ethics : Pavan Sir. Sociology : Abhimanu IAS Study Circle ,Chandigarh. GS: Mostly Online with Mrunal, Iasbaba, InsightsonIndia, Clearias and Pavan sir’s classes and material. Any other professional courses Elementary Teachers Training Course. Hobbies & Extracurricular achievements Listening to Hindi Movie Songs,Teaching. I have been born and brought up in Delhi, though my ancestral roots belong to Village Chhara, Distt. Jhajjar (Haryana). I am happily married for the last 7 years and have an infant son 8 months old. I started very late for UPSC Preparation (In fact I gave my first attempt at the age of 28 years). As specified above I started my career as a Primary Teacher in a Delhi Govt. School and along with the job did my graduation as external Student from Delhi University. After completing my graduation I appeared for different Bank PO Exams and SSC Graduate Level Exam and cleared all of them(SBI PO,SBI Associates PO, Union Bank Of India PO, SSC Graduate Level 2005) but finally chose SBI PO( As I look back, I regret that there was nobody to guide me about UPSC Exam, had somebody at that time would have guided me about UPSC Exam I would have given it a try at that stage and may be you would have been reading this interview much earlier. Also, I want to share the fact that at that stage I used to be very under-confident about my chances at CS Examination. I am sharing these thoughts so that all of those who are somehow feeling the same as I had once been, can come out of it and not repeat the mistake which I did. 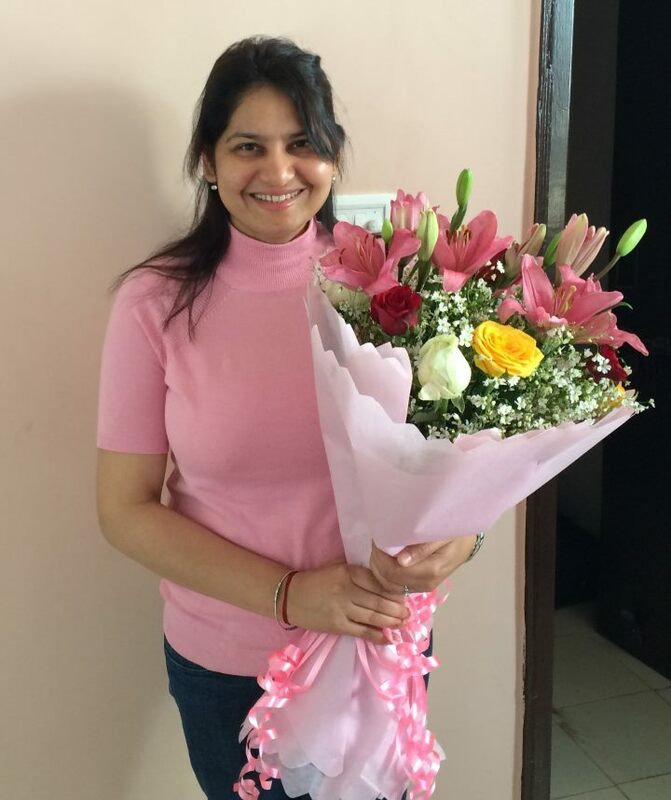 After 3 years in SBI, I joined the Income Tax Department securing a very decent rank(7) at all India level in SSC graduate level Examination 2006 which gave me the confidence of writing UPSC and also the fact that being a General Category candidate my attempts were going to be wasted anyhow because of my age. I thus gave my first attempt at UPSC CSE in 2009 and got Railways (RPF). I didn’t join that service and sat for CSE 2010 but again I got Railways (IRPS). Meanwhile, I had cleared Haryana PSC and joined as Dy.SP in Haryana Police in 2011. In 2011, I couldn’t qualify Prelims and my tryst with UPSC was over due to age limit. Later, as 2011 candidates were accorded an extra attempt at CSE 2015 so I got an opportunity to appear again for UPSC. This attempt came as a great challenge and opportunity as I was out of touch with preparation and the fact that I was 9 months pregnant at the time of prelims and while mains I had a son about 3 months old was making it even harder. But as luck would have it, I got my best rank in the most challenging circumstances. I have given the exam in both coaching oriented era (i.e CSE 2009, 2010) and electronic material focused era (CSE 2015) and I find that both have their pros and cons. During this attempt I focused exclusively on Self Study, Online material sp. Mrunal youtube lectures on Geography n Economics ,Selfstudyias Prelims Test Series, Clearias prelims Test Series ,Iasbaba TLP Programme, InsightsonIndia Secure Initiative on Current Events. Also, I was fortunate to have regular mentoring of Pavan Sir for GS, Essay and Ethics Papers. I relied on the standard books of polity like M.Laxmikanth, Rajiv Ahir Spectrum for modern history, Shankar’s Environment Notes, Culture of Nitin Singhania n of course the tried n tested old NCERT Books. Bcoz of my special circumstances I could study only for 2-3 months for Prelims and for Mains I could hardly get a month before mains (since my baby was born in Sept.) So, could not prepare the whole syllabus nor could study for long time but I must appreciate the help provided by online sites like Mrunal, Iasbaba which made my work much easier. Whatever little I used to study I concentrated on focusing on the traditional areas like Polity, History, Geography, my optional Sociology. Also, I used to make notes of certain key areas in every paper for quick reference n revision. Perpetual support of my family sp. my husband n brothers who were also preparing, continuous discussions with them on the subject matters, current events kept me on track. Having a focused and disciplined approach to crack the exam is needed and this is what makes the difference. As I Look back now, I feel that lack of confidence in myself actually costed me a lot. We all need to remember the fact that it is Just an Exam like many others and can be cracked with dedication and a strategic preparation. We should not be scared of this Exam. Many of us write our first attempt to be able to just clear prelims (as happened with me in my first attempt CSE 2009, I could clear Prelims but since was focus was only on clearing prelims I had not prepared enough for Mains and thus though qualified Mains but got just above Cut Off Score and thus even getting good marks in Interview (208) I could get only Railways. This attitude of not taking the holistic view of all stages of Exam Prelims, Mains and interview costed me my first Attempt. Secondly, I feel that this Exam actually requires Consistent Efforts. There should be more regularity in the Preparation. It is more beneficial to study for 6 hours each rather than studying one day for 18 hours and not studying another day at all. Also, study schedule should be properly planned and should be followed religiously. Prepare a monthly planner, weekly planner and daily planner based on the syllabus and time at one’s disposal. Every morning plan your day (what is your target today) and every night audit your output. Thirdly, never let stress take over you. All of us have d same anxiety and pressure of this exam but handle dis nervousness effectively otherwise it will result in more problems. Be an optimist always. (I am sharing this fact because of the personal experience of the failure in Prelims in my third attempt. I was almost confident of getting a very good rank in my second attempt but unfortunately even though obtaining a very good score in mains of CSE 2010 I got a very bad score in Interview n could again get Railways (IRPS) and this threw me into depression. I could not prepare for the Changed pattern of CSAT of 2011 Attempt and the stress n pressure of last attempt made me lose in the first round itself. Now, I realize that had I taken the failure of obtaining good rank in CSE 2010 in a positive stride and not taken stress of last attempt I could have easily managed the changed pattern of CSE 2011 and would have easily qualified Prelims. (I have earlier qualified Bank P.O exams and CSAT was not that difficult thing for me but the stress I took in the last attempt ruined my Third Chance). Fourthly, we need to take into account the factor of luck also in this exam. One need to understand that to be in the list or not is also dependent on so many permutation and combination and one should also factor in the handwork of one’s destiny in it. 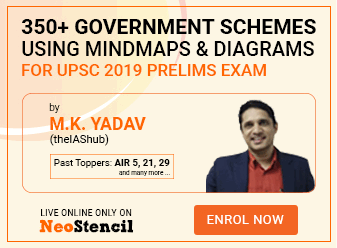 Give your best shot at UPSC but also have a backup plan to fall back on as life goes on with or without UPSC. I have mentioned most of the wrongs of the previous attempts. In this attempt, I tried to be consistent and regular with my preparation. Also, as I mentioned about my peculiar Situation I tried to be as positive and cool about my preparation. I knew I am not having a lot of time but I made sure that whatever Little time I had I will invest it wisely without taking any pressure. If you’re a working professional, share some tips on how to manage studies with job? I gave all my attempts with a job .Since, in this attempt I was totally out of preparation I focused more on Online preparation. I found websites like Mrunal,IASBaba,InsightsonIndia,Selfstudyias extremely helpful and relevant for the preparation . One can make use of these websites while commuting for office, in the free time. History Ancient Old Ncert Book,Own Notes. History Medieval Old Ncert Book,Own Notes. History Modern (Freedom Struggle) Bipin Chandra, Rajiv Ahir. Culture and society Old Ncert Book,Nitin Singhania Notes and Newspaper. Polity (theory + current) M.laxmikanth. Economy (theory + current) Mrunal youtube lectures,Economic Survey. Science (theory + current) Old Ncert book. Environment (theory + current) Shankar Ias Notes. geography physical Mrunal Rajtanil Mam youtube lectures ,Oxford Atlas,NCERT. geography India Mrunal Rajtanil Mam youtube lectures,Oxford Atlas,NCERT. geography world Mrunal Rajtanil Mam youtube lectures,NCERT,Oxford Atlas. other national/international current affairs Newspapers like Hindu and Indian Express,RSTv,Insightson India. Schemes, Policy & Filler Stuff Websites like Mrunal,Iasbaba,InsightsonIndia. Q. Any observation / comments / tips about GS prelim 2016 paper? Focus on Traditional Areas like Polity, Geography, and Economics. Q. Any observation / comments / tips about CS Aptitude 2016 paper. Do some practice test papers . Selfstudy Ias GS Mock tests . They are not mandatory but I found them the most close to UPSC Papers. Nothing at all, except reading newspaper (Due to paucity of time).Though it was a mistake as it costed me nearly 15-20 marks. I myself was not happy with my essays as because of no essay writing practice the flow and chain of thoughts in the essay was not good and while writing essays itself I was not satisfied . 2) Dreams, which should not let India sleep. Culture Nitin Singhania notes and Self Created notes from old NCERT history books. post-independence India Ram Chandra Guha Book “India Since independence”. parliament, state Legislatures M.Laxmikanth, Pavan sir and 2nd ARC Commission. executive-judiciary M.Laxmikanth, Pavan sir and 2nd ARC Commission. ministries departments M.Laxmikanth and 2nd ARC Commission. Representation of people’s act M.Laxmikanth and 2nd ARC Commission. various bodies: Constitutional, statutory.. M.Laxmikanth and 2nd ARC Commission. NGO, SHG etc Pavan Sir Class Notes of Public Administration. welfare schemes, bodies Pavan Sir Class Notes of Public Administration. social sector, health, edu, HRD Pavan Sir Class Notes of Public Administration,Website of Vikaspedia,Ias baba Mindmaps,InsightsonIndia. governance, transparency, accountability Pavan Sir Class Notes of Public Administration. e-governance Pavan Sir Class Notes of Public Administration. role of civil service Pavan Sir Class Notes of Public Administration. India & neighbors Chokalingam Class notes on IR. bilateral/global grouping Chokalingam Class notes on IR. effect of foreign country policies on Indian interest Chokalingam Class notes on IR. Diaspora Chokalingam Class notes on IR. international bodies- structure mandate Chokalingam Class notes on IR. Indian economy, resource mobilization Mrunal Economics YouTube Lectures,Economic Survey,Sriram Economics Booklet. inclusive growth Mrunal Economics YouTube Lectures,Economic Survey,Sriram Economics Booklet. Budgeting Mrunal Economics YouTube Lectures,Economic Survey,Sriram Economics Booklet. major crops, irrigation Mrunal Economics YouTube Lectures,Economic Survey,Sriram Economics Booklet. agro produce – storage, marketing Mrunal Economics YouTube Lectures,Economic Survey,Sriram Economics Booklet. e-technology for famers Mrunal Economics YouTube Lectures,Economic Survey,Sriram Economics Booklet. farm subsidies, MSP Mrunal Economics YouTube Lectures,Economic Survey,Sriram Economics Booklet. PDS, buffer, food security Mrunal Economics YouTube Lectures,Economic Survey,Sriram Economics Booklet. technology mission Mrunal Economics YouTube Lectures,Economic Survey,Sriram Economics Booklet. animal rearing economics Mrunal Economics YouTube Lectures,Economic Survey,Sriram Economics Booklet. food processing Mrunal Economics YouTube Lectures,Economic Survey,Sriram Economics Booklet. land reforms Mrunal Economics YouTube Lectures,Economic Survey,Sriram Economics Booklet. Liberalization Mrunal Economics YouTube Lectures,Economic Survey,Sriram Economics Booklet. Infra Mrunal Economics YouTube Lectures,Economic Survey,Sriram Economics Booklet. investment models Mrunal Economics YouTube Lectures,Economic Survey,Sriram Economics Booklet. science-tech day to day life Nothing Specific. Indian achievements in sci-tech Nothing Specific. awareness in IT, space, biotech, nano, IPR Mrunal Economics YouTube Lectures. environmental impact assessment Shankar Ias Environment Notes. Disaster Management 2nd ARC Report. non state actors, internal security 2nd ARC Report. internal security – role of media, social networking site Nothing specific from different websites.Just googled it. cyber security Nothing specific from different websites.Just googled it. money laundering Nothing specific from different websites. Just googled it. border Management Nothing specific from different websites. Just googled it. organized crime, terrorism Nothing specific from different websites. Just googled it. security agencies- structure mandate Nothing specific from different websites.Just googled it. ethics in pub.ad, accountability, laws, rules etc. Pavan Sir Ethics Class Notes and 2 nd ARC Report. corporate governance Pavan Sir Ethics Class Notes and 2 nd ARC Report. probity in governance, work culture Pavan Sir Ethics Class Notes and 2 nd ARC Report. citizen charter, ethics code, work culture etc. Pavan Sir Ethics Class Notes and 2 nd ARC Report. challenges of corruption Pavan Sir Ethics and Public Administration Class Notes and 2 nd ARC Report. case studies on above topics Pavan Sir Ethics Class Notes. Can’t comment much as couldn’t prepare extensively except Pavan Sir Ethics Class Notes and 2 nd ARC Report. I think quality matters a lot over quantity but at the same time one need to maintain the speed as I suffered a lot because of lack of speed and time management. In every paper I was not able to maintain speed and thus have to leave 20-30 marks papers unattempted. Writing Answers every day is the key to obtain good marks in Mains and I sincerely believe I could have gained at least 40 marks had I done that practice as I would have been much better in my speed and time management. It is good as it saves time as compared to earlier sheets system where one needed to fill in details of supplementary sheet every time one takes that. Also it does not allow the mistake of writing too much. Always make sure to detach the Question Paper from the Answer sheet (which is attached at the back) as soon as u get the sheet so that u can plan to read quickly the whole question paper n can plan which questions to attempt first. Both Bullets n Paragraph as per the requirement of the question. Bulleted point answer for questions demanding more information and paragraph for analytical questions. Both , In good attempted questions ““introduction-body-conclusion” format while in hurry just points. Only in Good attempted questions underlined the key points. Later was struggling to complete the paper so didn’t have that time to focus. Speed is d key. Pl focus on that. Yes, In certain questions of Geography and flowchart in some answers of optional. No, not having that much time. By hand only. My optional was Sociology. I chose it because of the familiarity with the subject and also interest. This year even Sociology has suffered the same fate but I feel that every year there are toppers from every subject So, an individual interest and knowledge in the subject is more important than any other criterion. One needs to do a lots of Answer Writing Practice in his/her optional and tats more important. I took coaching from Abhimanu’s IAS Sociology at Chandigarh in CSE 2009 and made notes of the study material. Those I read them again. But I would add that I equally found Upendra Sir Class notes of Sociology equally good. Harlambos is a recommended book for beginners. I think reading Newspaper like Indian Express and The Hindu is relevant for preparing contemporary topics. 3 months is fine even if start afresh. Could not write any but recommend it to every candidate. Some self notes, in paper form. This year Sociology Paper II was very unconventional thus, one need to be prepared for any uncertainity. Also, one need to understand the concept of Relativity that if paper is tough or unconventional then it is tough and unconventional for everybody and thus it hardly matters so without losing confidence give your best. I prepared my DAF thoroughly, had a discussion with my husband, brothers, Seniors about the same and formed the database of expected questions and prepared answers for them. I gave mock interview at SAMKALP, had a personal session with Ravindran Sir and Pavan Sir. They were helpful as they make you acquainted with the interview process. At own home and not much revision. Discussion at Home with my family about current events and my professional background. I wore a Cream n Pink saree. Didn’t ask. But had asked then my reply would have been the amount of opportunities one gets to serve the people along with the job satisfaction one can have. The questions were mostly on my professional background, reasons for having a varied career, which job I like among all, mostly questions on policing, women empowerment, IR related questions concerning Indian security scenario etc. Not having the luxury of another attempt but if I had then would have written a lot of answers for all GS Papers, Essay and Optional too. Already working as Dy.SP , Haryana Police. Yes, it would end the uncertainty and also address the anxiety among candidates along with making the process more transparent. No, UPSC is recruiting Civil Servants and it has a unique character attached to it. Some changes are required in the present format only which can enhance objectivity. I would ensure that just as UPSC is having Calendar of Events It would also specify beforehand date of declaration of result of Prelims, Mains and Interview. My UPSC journey is full of these complexities and Insecurities. As I mentioned before, My First attempt I was quite under confident (because of that suffered in mains) but despite having a graduation degree from External Studies (i.e. I got a good score in my first Interview (208,Board of Khan Sir) but somehow I feel in my second attempt despite getting good in mains My lack of regular education was definitely a factor in ruining my Interview(140,Rajni Razdan Mam, Total Stress Interview).Again in my this attempt I was slightly anxious because of my varied job experience and Not having regular degree and chances are that it may have been one of the factor in having not so extraordinary marks(171) but this is again so subjective. The same background was appreciated by one board but may be taken in a negative stride by others. But again I would say that all these are assumptions and thus involve a lot of subjectivity. Thus, overall what matters the most is your confidence, dedication and luck for this exam. Been through this momentous journey of struggle and success ,I would only say have a positive thinking ,take both success and failure in your stride comfortably, learn from your failures but learn more from your success as it allows you to respect the struggle of all those who couldn’t succeed. Thank God, family, friends for their role in your success and support in your failure. Whatever be the case Try to move forward in your life, give your best and leave the rest to the almighty. I would only say this is just an exam, Life is a much bigger canvas and it is having both bright and dark shades in it and both have their beauty. Explore Life and yourself. May be you are meant for other bigger things and for doing great things in life one don’t need to be a civil servant only, Being a great human being is enough and that is wat really matters. The list is endless but I would like to dedicate all this to my family and friends sp. My mother and my late father, who taught me the basic values of life and have always supported me. My Husband, who has been my rock for last so many years and has been actively involved with my preparation. My brothers, My Parents In laws for their continuous support and confidence in my abilities and top of all my son who has completely transformed me and my life for good. I have done Economics and Geography from Mrunal only and recommend it to everybody. These sections are just awesome and makes the learning so easier and fun. Keep the good Work Going.